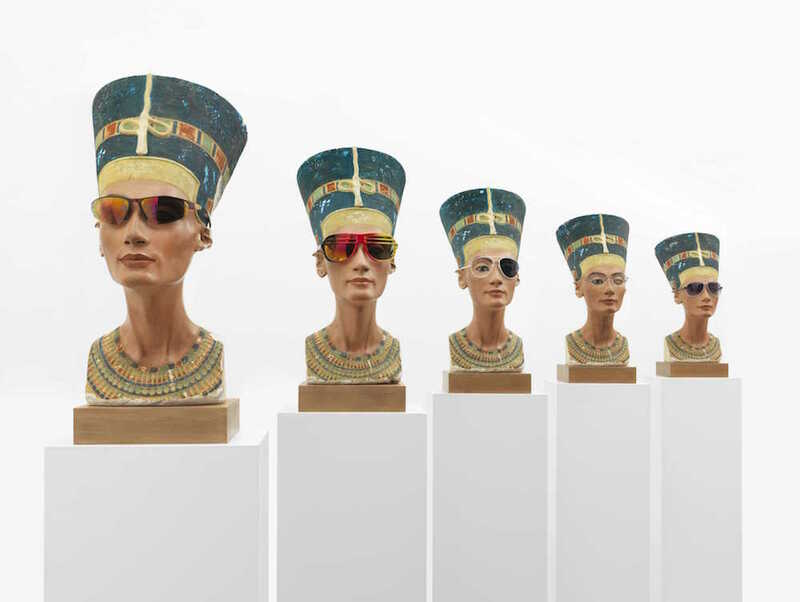 German artist Isa Genzken (1948) is one of the most influential female artists alive today. She studied art history and philosophy at the University of Cologne and followed an art class at the art academy in Düsseldorf, where she studied with Thomas Struth and Katherina Fritsch. In 1982, she married the German artist Gerhard Richter. Their relationship had a mutual artistic effect on them. They divorced in 1994. Despite the fact that she had multiple solo exhibitions in Europe (in 1989 in Museum Boijmans Van Beuningen) she was only enthusiastically critiqued by the beginning of this century. She took part in the Venice Biennial twice (2002 and 2007), was part of the 2002 Documenta 11 in Kassel and had a solo exhibition in Museum Ludwig in Cologne in 2009. 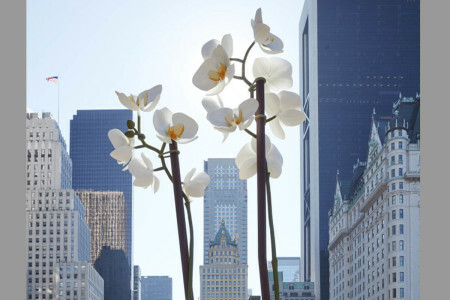 In 2013, at the age of 65, she had a big retrospective at the MoMA in New York. The Stedelijk Museum Amsterdam presented a comprehensive overview of her forty-year-old oeuvre this month. Break through: retrospective MoMA, New York, 2013. Living in two cultures gave Monir Shahroudy Farmanfarmaian (1924) an artistic language that is a mix between her homeland Iran and her residence New York. In the 1940s, Farmanfarmaian traveled to the U.S.A. to study fashion design and ended up among the New York avant-garde. Life in New York triggered a renewed interest in traditional Iranian craft. In 1957, she returned to Iran. She made mirror mosaics, simple flower paintings and monotype prints on glass and cloth. She also collected local art, panel doors from the Safavid-period and glass paintings. All those belongings, including her own work, were confiscated, sold or destroyed in 1979, during the Islamic Revolution. She fled to New York again and stayed there for 26 years. In 1958, she represented Iran for the first time at the Venice Biennial. In 2014/2015, 91 at the time, she had her big major success, with Infinite Possibility: Mirror Works and Drawings, in the Museum Serralves in Porto and the Guggenheim in New York. 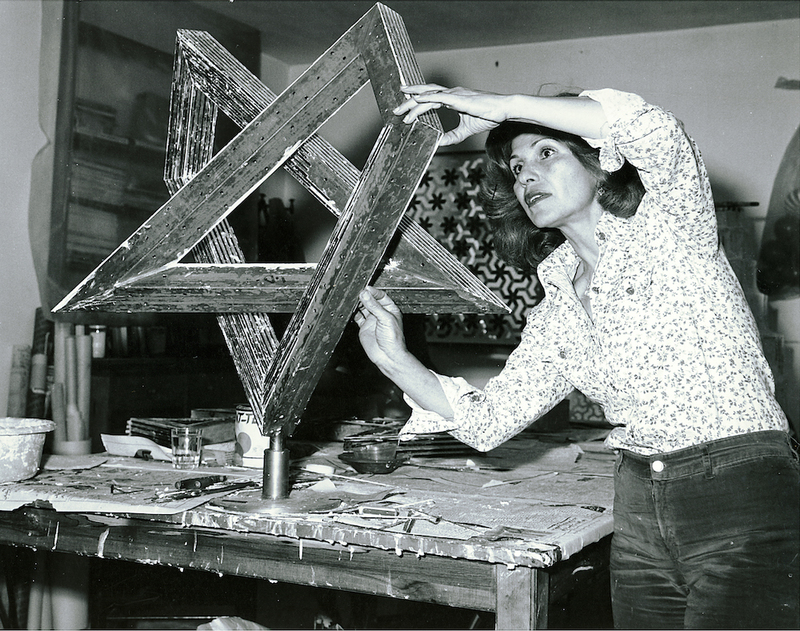 Around the same time, she was the subject of the documentary Monir by Bahman Kiarostami (2014). Break through: Infinite Possibility: Mirror Works and Drawings, Museum Serralves in Porto and afterwards in the Guggenheim in New York in 2014-2015. 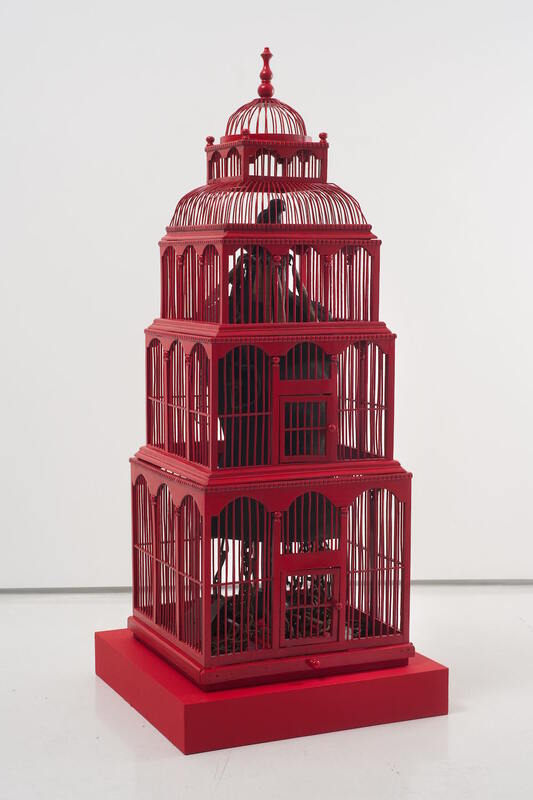 Afro-American artist Betye Saar (1926) combined found objects with caricatural ‘black collectibles’ in provoking assemblages and collages that explored the black history and nature of femininity. While she was growing up in Pasadena (California) she often visited her grandmother in Watts, where she met the artist Simon Rodia, who collected garbage to make and decorate his famous Watts Towers. In 1967, she started making the assemblages after seeing an exhibition by Joseph Cornell. Her work is exhibited all over the United States, often in small galleries though. Saar was also curator of exhibitions, like in 1973, in Womanspace with Black Mirror, devoted to black female artists. The paradoxical nature of feminism came to the fore here: hardly any white female artists came to the activities and events surrounding this exhibition. She had important solo exhibitions in the United States: in 1975 in the Whitney Museum of American Art, in 1984 in the Museum for Contemporary Art in Los Angeles. Her international break through was in 2015 with the solo exhibition ‘Betye Saar: Still Tickin’, that was on view last Fall at Museum Het Domein in Sittard. Break through: exhibition at the Whitney Museum of American Art, 1975. 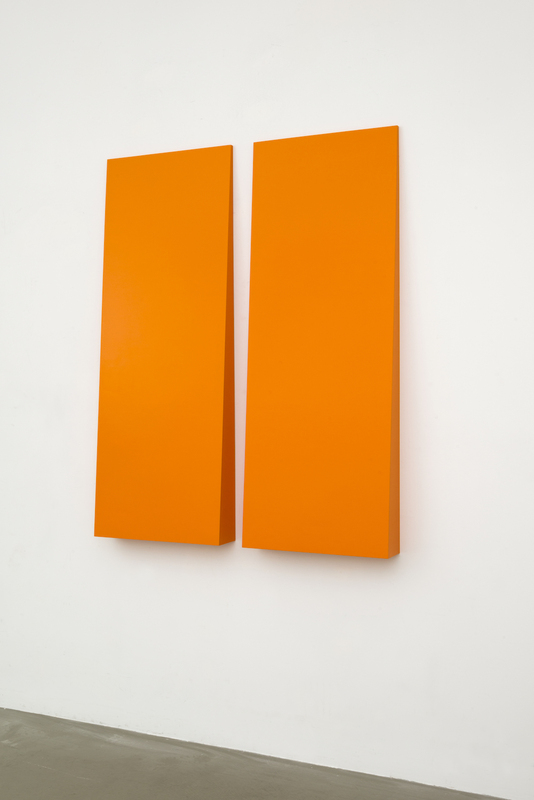 The Havana-born artist Carmen Herrera (1915, see the featured image of this blog) had her first solo exhibition in 1998 at the age of 83, and turned 100 in 2015. A documentary was made about her, The 100 Years Show, and in the Fall of 2016 there will be a retrospective of her at the Whitney Museum of American Art. The attention for her work comes as a surprise for her, she says in the documentary – more than half a century she spend quietly working on it by herself. Herrara and her husband moved from Cuba to the U.S.A. in 1939 and lived in paris for several years after the Second World War. She discovered her pictorial style there – preminimalistic, abstract – and exhibited alongside artists such as Josef Albers, Jean Arp and Sonia Delaunay. In 1954, the couple returned to New York. In 1998, she had her first solo exhibition, in El Museo del Barrio in Harlem. She sold her first work in 2004 and other works of hers were bought by the MoMA in New York, the Hirshhorn Museum in Washington DC and Tate Modern in London. Break through: solo exhibition in El Museo del Barrio, New York, 1998. Höch didn’t make it into the magazine See All This, but we did put her in the limelight in this blog.